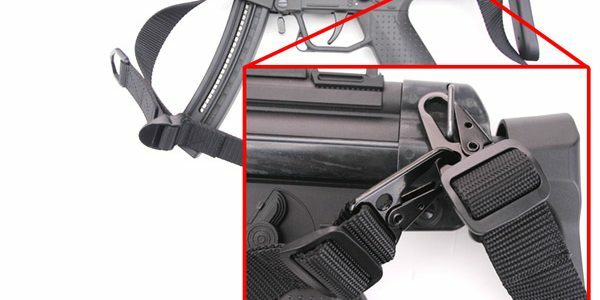 If you purchased the BDS 2×2 sling then you realize it’s a 2 point sling that requires two sling loops installed on your rifle. 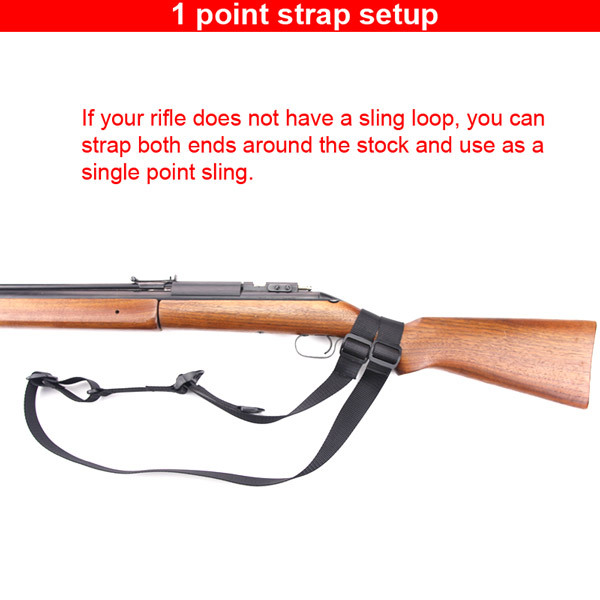 There is a way to add this sling to any rifle…you simply strap it around the stock as seen in the image below. This comes in handy because you don’t need to drill any holes or do anything to the rifle. 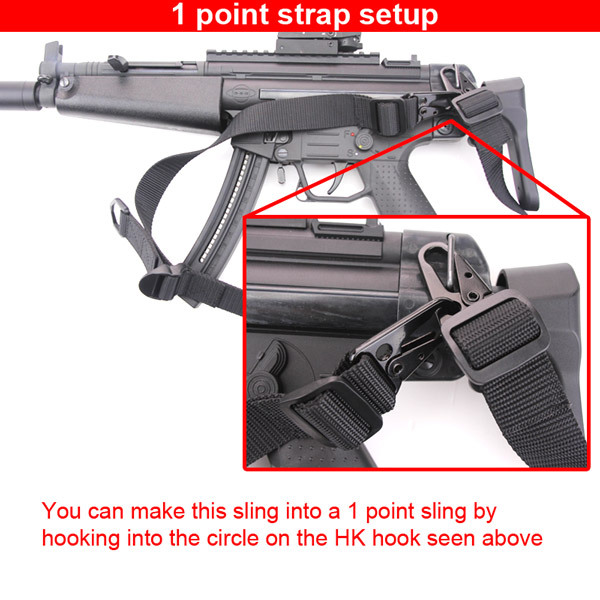 Also seen in the second image below you can hook the HK hooks both into a single point loop or hook them onto themselves seen below.